Enjoy the time of togetherness, sharing and giving this Eid with some fabulous gift ideas from Liali jewellery that will put a smile on the face of your loved ones! From lavish Italian gold jewellery designed by Gabriella Rigmonti to classic budget products of the Regalo in Spain, Liali offers a deluge of styles designed to impress every member in your family. Choose the Regalo Pendants starting at just AED 500 in 18 karat gold that are ideal for any age. Whether you prefer the ones engraved with Allah or the new age modern REGALO pendants with long chains holding them, they are the perfect choice for gifting your loved ones. If you are looking for a twist in the traditional gold jewellery, Liali offers the 18K gold jewellery from Italian designer Gabriella Rigamonti that adds style and sophistication to any occasion. You will be charmed by LIALI’s Tennis Necklace that evokes the everlasting spirit of the woman. Suitable for any occasion, it is the obvious choice for those committed to distinctive elegance and timeless style. Liali also offers an easy installment plan on the AED 12,000 tennis necklace where you can pay only AED 1000 per month for a period of twelve months.The new diamond rings and earrings collection from “Waves” exudes elegance and sophistication and makes it the perfect piece to steal the limelight at any event! The Pearl Collection is a mix of traditional and contemporary bold pieces. The evergreen exquisite jewels are perfectly crafted to complement the eternal feminine beauty. You can also choose from a variety of black and white pearl strings, as well as some more funky styles made of colorful pearls. If you are looking at more traditional pearl sets, Liali’s Bahraini pearls woven into 21K yellow gold are the perfect choice for you. Liali strives to bring great designs for their customers while never sacrificing on the quality, creativity and craftsmanship. LIALI’s exchange and upgrade policy ensures that the gifts can be exchanged by the customers in case they need a change or want to upgrade to their own choice of dream piece of jewellery. 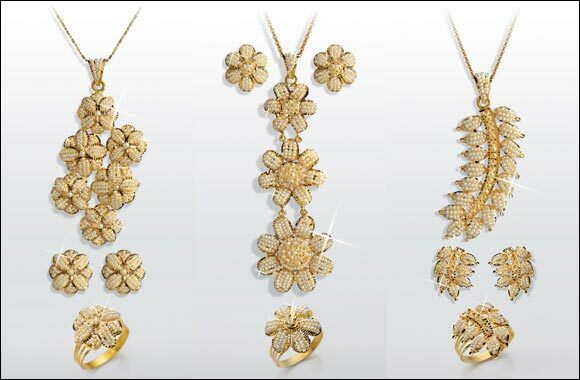 Al LIALI Jewellery LLC is a Dubai based jewellery company with a chain of up-market boutiques under the name of LIALI. Started in June 1999by Raed Ahmad Baker and Anuraag Sinha, today LIALI boasts of 21 outlets in most of UAE's landmark locations. The company specializes in certifieddiamonds, pearls, precious & semi-precious stones, 18k gold, customized handcrafted jewellery. LIALI takes pride in bringing innovativeconcepts in jewellery and consistently endeavors to keep up with the latest trends around the world. Today LIALI is associated with fine jewellery and personalized service that epitomize trust. It has established itself as a name to reckon with over the last 14 years. Al LIALI stores are presently located in Mall of the Emirates, Dubai Mall, Mercato, Meadows Town Centre, Ibn Battuta Mall, Dubai Festival City, Mirdiff City Centre, Gold and Diamond Park, the Deira Gold Souk, Dubai Meena Bazaar and Souk Madinat in Jumeirah to name a few in Dubai along with Bahrain City Centre and exclusive jewellery boutiques at Hilton and Cove Rotana in Ras Al Khaimah.